Are you looking for tree services in Auckland? It Costs No More to Use the Very Best! We also specialise in Planting & Transplanting, Insect & Disease Control, Root System Care and Resource Consents. At Claxton Tree and Landscape Care, we are an Approved Contractor of the NZ Arboricultural Association. We take great pride in our knowledgeable staff through intensive training to complete work efficiently and effectively. 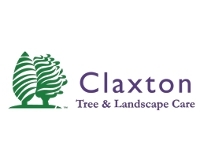 For more detailed information about our services please visit our website or call Claxton Tree and Landscape today for a no obligation quote. "I would like to take this opportunity to personally thank you for the professionalism of your service to the council on this difficult contract. Your professional approach to dealing with the problems on site deserves recognition and thanks" - Joseph Flanagan - Auckland City.